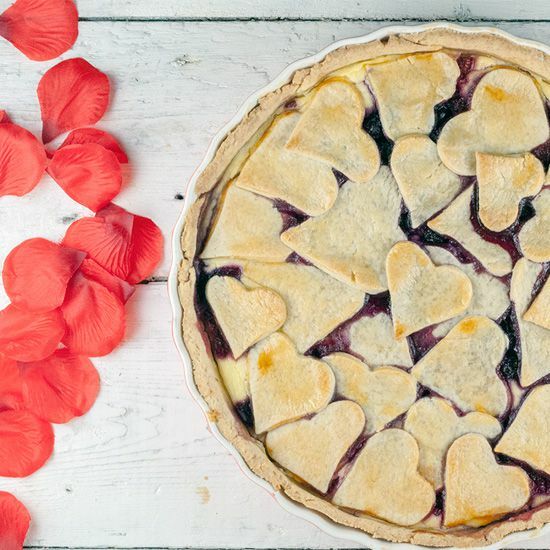 Surprise your loved one with this Valentine's day red fruit pie. Made extra delicious with a creamy quark layer. Also tasty without the hearts. PRE-HEAT the oven to 180 degrees celsius or 350 degrees fahrenheit. COAT the pie form with butter. ADD a little bit of flour to the countertop and use a rolling-pin to roll out the dough. 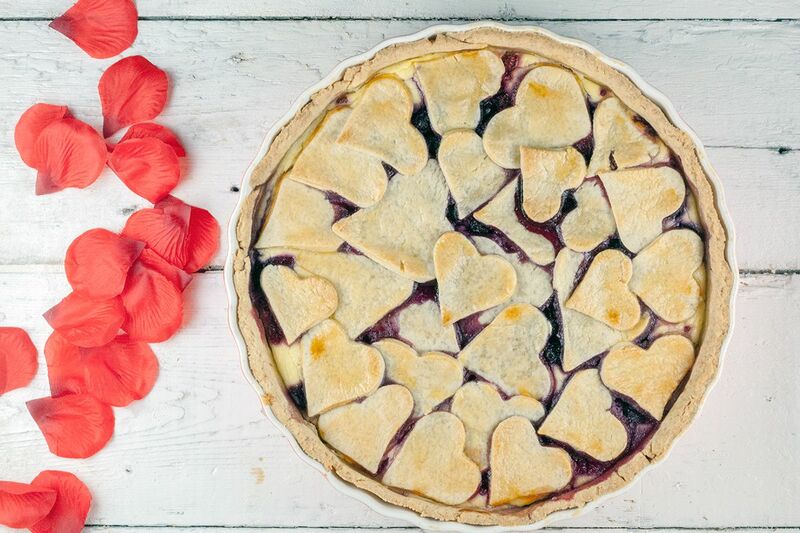 Keep enough dough aside for the hearts. PRESS the dough into the cake pan and poke holes in the bottom using a fork. 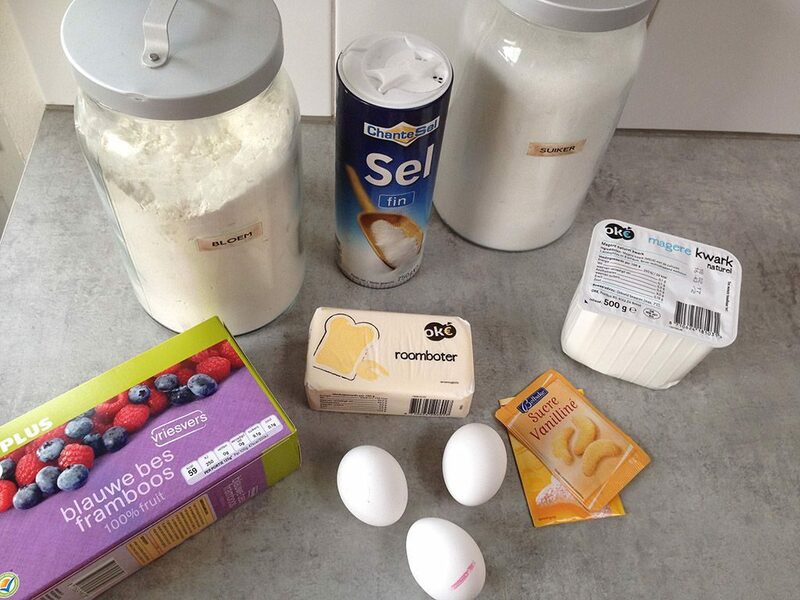 CREATE a smooth mixture of the quark, eggs, vanilla sugar and 1 tablespoon of sugar. DIVIDE the mixture over the bottom and divide the fruit over the filling. 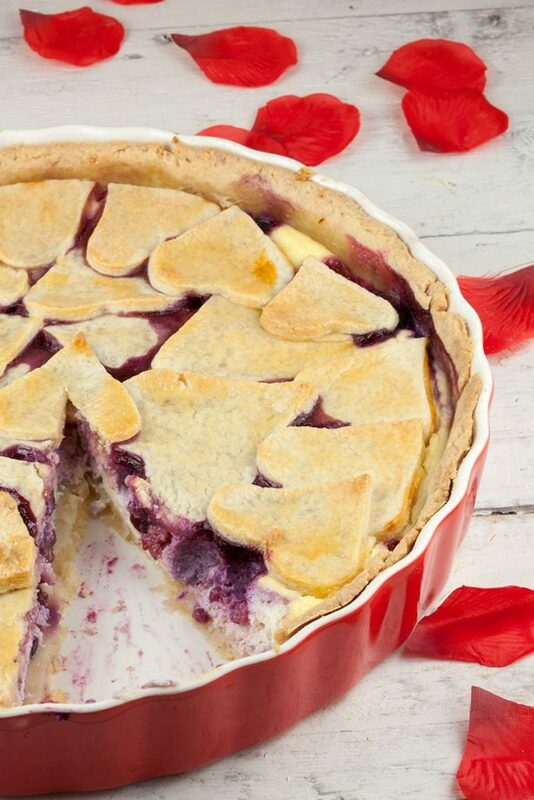 DIVIDE another 2 tablespoons over the fruit and create a top of hearts. 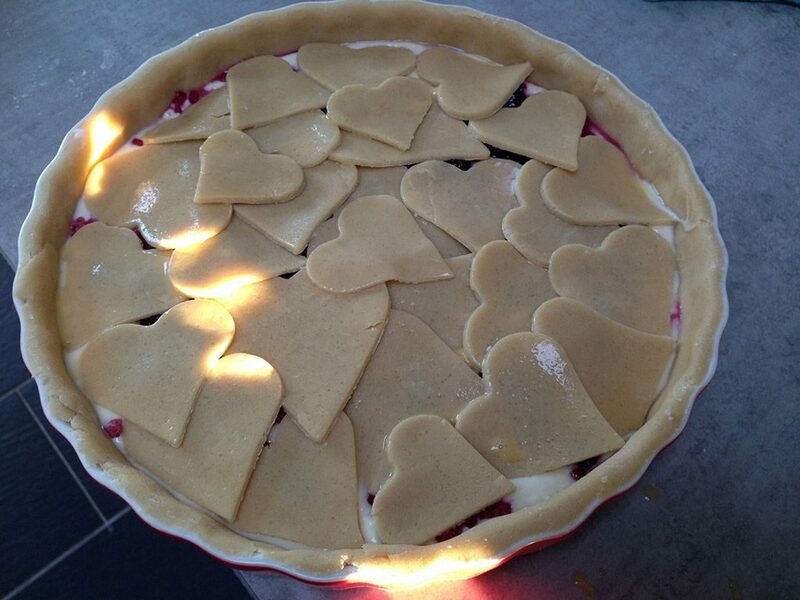 BRUSH the hearts with egg wash and BAKE the pie in the oven for about 40 minutes, or until it’s beautiful golden brown. Let it cool off a bit and enjoy! Super leuk gedaan met die hartjes! Lijkt me heel lekker deze vulling!